A 1-Month FREE Trial of Sangoma’s Remote Monitoring Service (RMS) is now available for you to try! What is RMS you ask? These alerts are summarized by severity, system name and triggers and allow users to expand panes for more granular details. Alerts can be quickly silenced from further email notifications and will self-close upon clearing of the condition. 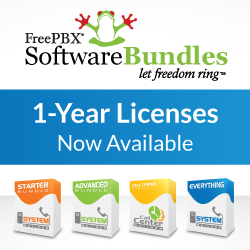 Graphs are available for every FreePBX / PBXact system being monitored and display valuable information about active calls, CDR, extensions, SIP trunks, fraud stats and more. RMS will auto-generate email notifications upon triggered alerts and provide details to help you take action if necessary. You can also get your 1-Month FREE Trial from the Store inside your Portal Account.